Saturday is fun day for most families, but for us, its a typical working day. Our company is operational since we moved to Bacoor. But since the workload is not so full anymore, I will try to negotiate with the big boss to make Saturday half day only. who is hosting the Toddler Tuesday. I added my entry made last Wednesday for this week. From now on, this blog will be joining this photo meme. What about you? 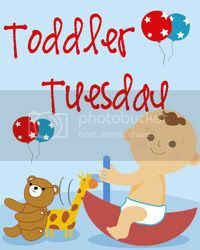 Post yours too and lets share our toddler activities every Tuesday. Have a blessed Saturday everyone!